Ken - "Our kids really enjoyed the Pick up Football Program this past winter. Zach and his team do a fantastic job to make sure all the kids have fun and equal play. As a parent it is also easy as there is no commitment to go every week. We love the program and recommend it to anybody who has kids and lives on the Upper West Side or anywhere in Manhattan." Lee Ann - "We have been delighted with Zach's program. Not only is it safe (flag football) but it is educational fun. The coaches work with the kids at an appropriate level, and teach the boys with the right mix of fun, education, care and leadership." Coach Zach - "I've never seen a program where kids are happy the entire time. Where there is no pressure. Just pure fun and enjoyment." 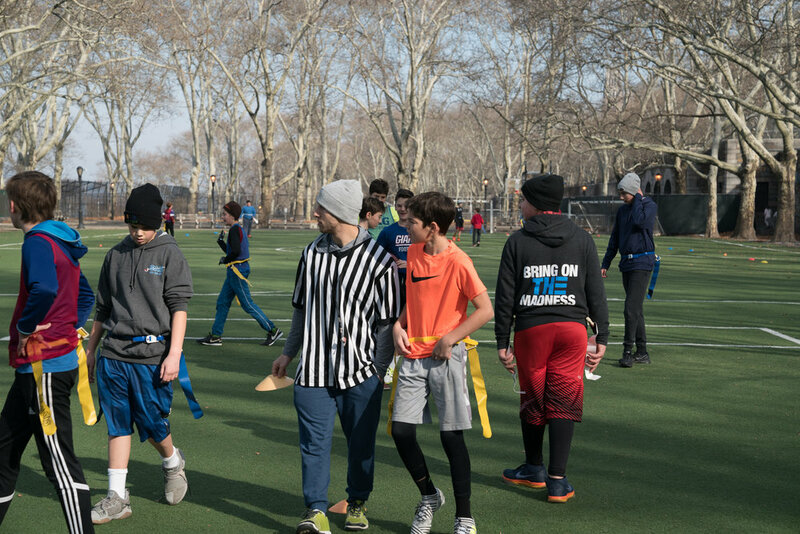 Coach Rafe - "I have been with NYC Pickup Sports since the beginning and I believed in it from the start. Children from any and all playing levels can come and enjoy without ever feeling they aren't good enough to play. Yes, there is a level of competition but everyone gets to participate, and every child leaves happy."